The kids’ room is one of the more versatile rooms in your home. It takes shape and transforms over time. Here are a few ideas you can use when creating a space for the kids to grow up in. Use chalkboard and whiteboard paint to create a space for kids to explore their creativity. When it’s time for a make-over, simply paint over! Create a kid-sized door as a cool addition to a room! My favourite affordable resource for art prints and posters for kids is Etsy. For most listings, the file will be sent to your email upon payment. Simply print and frame it up! 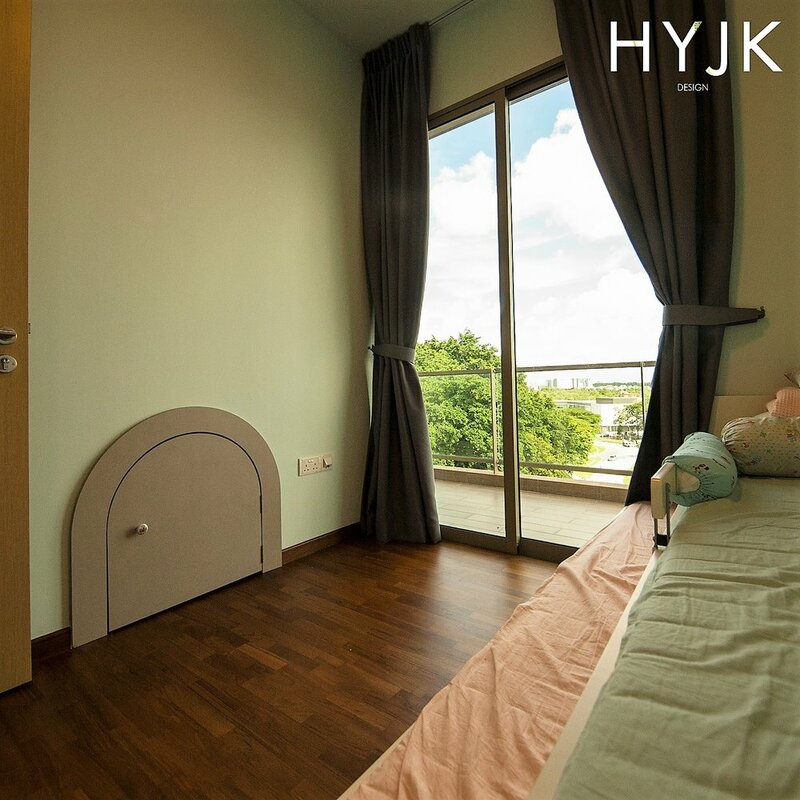 The artificial turf not only serves to bring the outdoors in, but it also doubles up as a huge doormat for the kids running in and out of the balcony. Create a fun themed room for the kids by commissioning a mural. Create a fun environment not just for kids but for the kid in you too! Let’s build a dream together. Make an appointment with us here.